Diving the Philadelphia Quarry in Tennessee. Filmed in 4K with the new GoPro Hero 5 Black. 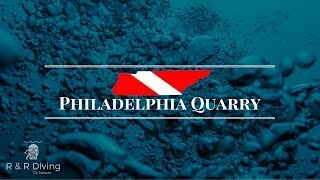 Philadelphia quarry is a small, privately owned dive resort just south of Knoxville, Tennessee. Divers have a variety of training platforms to choose from at the quarry, as well as a host of freshwater aquatic life. There are even a few odd sights to see at the bottom, including sunken shipwrecks! Average depth of the quarry is between 40 and 50 feet, with the maximum depth at 75 feet. Filmed with GoPro Hero 5 Black and edited in Adobe Premiere Pro.